H and I are the same in many ways: we don’t really like shopping or malls but we love the thrift shop with its lure of the find and the potential of treasure. Buying H’s clothes there means they are soft, and comfortable, and can be inexpensively replaced if they are ruined in when he’s inventing in the shop, or climbing, or…??? This time – H needed pants. We have a method. He gets to look around for treasure, whilst I load the cart with pants that may (or may not) be a possible match. He and I meet up when I have the load of potential garb ready for trial – and he has usually found some wonderful thing that will be his reward for trying on all the stuff. I know he doesn’t like trying on clothes – so this is the pleasurable thing at the end of the task (and no – new pants are not an intrinsic reward for my 14-year-old). I ask for permission to use the largest changing room – which is also always the one on the end. This helps a bit, one less sensory issue – one less overwhelming thing. I take a deep breath, reach deep to muster every ounce of patience, and the onslaught begins. I used to buy clothes and bring them home for H to try on – and just return what didn’t fit. We have moved on from that… one small step at a time (big steps all). It is Wednesday night… the store is almost empty… but open late: ’till 9:oo. I gently wrangle H into the changing room as he eyes the cart. I out–manoeuvre his query about exactly how many pairs of pants are within – by explaining that I cannot tell because of the way they are piled – but I think it is about 10 minutes worth. 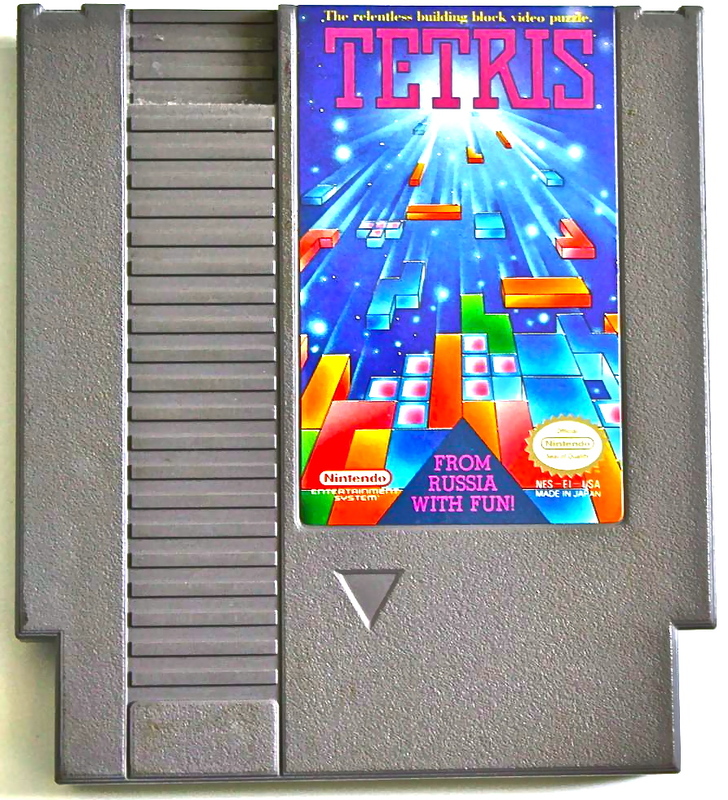 I deftly switch the subject to my wonder a t his find… a pristine NES Tetris Game circa 1985. It is a long pass to my retro gamer boy, who catches it… figuratively… and can talk of little else for the next few minutes. Effectively distracted, we begin to build momentum for the task ahead. I ask H to pass me pants as they fit – or don’t – and one at a time, I trade for a new pair, sorting and encouraging as we go. We make a kind of game of predicting whether the pants will be passed under or over the door each time. I am organized. Probably, too, I over-prompt and unintentionally add to the noise and sensory overwhelm. I work to be aware of this and keep the mood as light as possible. Over – under – over – over – under: pants are flying in and out. Some fit – most don’t – and this entire scenario is difficult for H. Music, lights, small room, expectations, and Aaaack… trying on clothes!! I get it. I find it overwhelming too. H is loud – and funny too, but not every utterance from within H’s stall is polite. His wit and sweetness are mixed with a tone that is cheeky – sometimes rude and disrespectful. He is at capacity – and I knew this was coming. This is why I remembered to breathe – to dig deep for my patience – and I am ready to advocate if needed. A lady emerges from the booth beside H.
H and I make it through the heap of pants. Three pairs make the cut… along with the coveted NES Tetris game cartridge. H looks at videos by the checkout. We have an ongoing arrangement: he knows at checkout time he needs to be with me if his treasures are to be purchased. I take another minute, before we do the line up. H looks at videos by the checkout – and I pretend to look at the items in the locked case. But really I am just calming… reclaiming my poise and releasing my stress… remembering to breathe. I too am at capacity. On the way home, I share how great he did and list the positives. I also share that a woman asked me if he always talked like that to me. And now I am writing this tale and I cannot sleep. It is early Saturday morning – or perhaps very, very late Friday night. I cannot stop thinking about our dialogue and I can’t help but reflect that approximating typical is a difficult path indeed. I worry about the pressure of my expectations… the sirens of typical that sing me to their rocky shores. The strengths of my child – should not inversely become a liability to extending him understanding and support. I certainly cannot pretend I’ve got this figured out… I am struggling. It scares me that it is so difficult to unwind – to get right. And too, there exists in this the possibility that I may not get it right, which is simply not an option! The lines are not clearly drawn – it is a tangled thing. H cannot yet sing his advocacy – and I have to welcome it – support him in his strengths and stretches. I cannot jump upon the one thing not yet achieved and then be blind to the amazing resiliency and accomplishments of this child. A year ago I suspect I would have told him I was embarrassed – but now I see this differently. I also would have felt like my explanation to the questioning woman, was making an excuse – rather than advocating for the needs of my child. I have changed. My advocacy is changing. My knowledge and vision for what my child needs, and my ability and willingness to listen to what it is he is saying about what he needs, continues to grow. I no longer want to force his silence for my comfort. If his words aren’t sweet… there is a reason! I am building an understanding that my child does not choose his responses to make it difficult for others. He is doing his best. 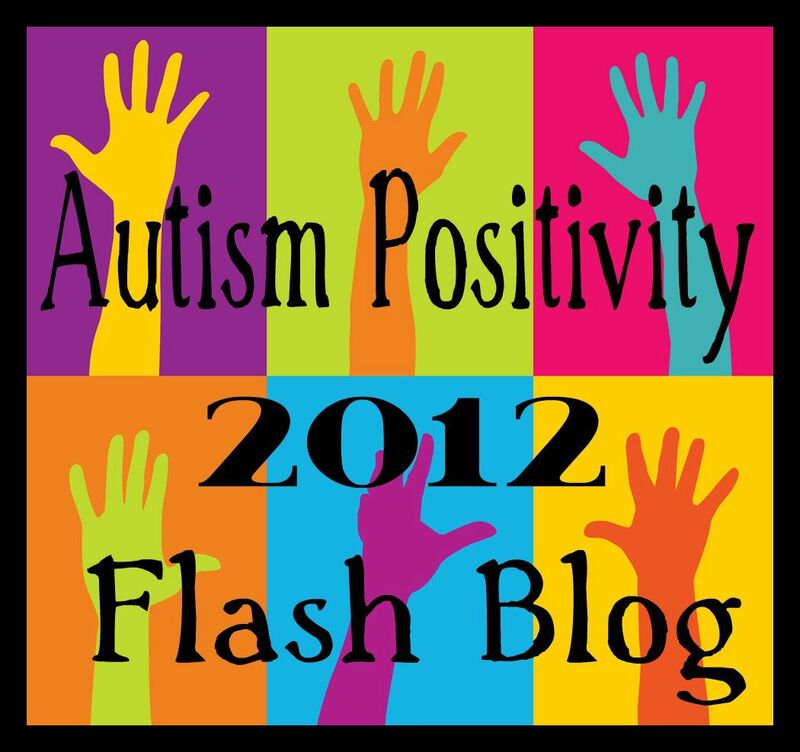 This entry was posted in aproximating typical, Autism, Autistic Shadow Traits, Goals, limits, Neurotypical, Parent, Resiliency, self-advocacy, SPD and tagged Autism, NES Tetris, Nintendo NES, parent, resiliency, second-hand clothes, self-advocacy, sensory overload, Sensory Processing Disorder, Shopping, strategies. Bookmark the permalink. Fantastic illustration of a little trip to the thrift shop, and how very many things that both our children and we as parents, have to take into consideration in such a little trip. I relate to so much of this. The constant mindfulness it takes to be a good advocate is extremely challenging, much like the sensory and social expectations that H must maneuver through himself. I think the open and honest relationship you guys have, must be the thing that does heal. You are in it together, the growing and building skills thing. Thank you for being a few steps ahead of us, and sharing your growing together stories. Yes… I agree the constant mindfulness can be challenging. I know you understand this as well – that it is worth it because that state gives us our best learning – and gives our boys, H and YRx2 (Young Rebelsx2) their best support. Have no doubt at all that I am learning much from you as well. I am so often moved by the beauty and joy present in your mindful steps with your beautiful duo and reflected in your photos and your writing. Your support and comment mean so much! educating and promoting awareness one little step at a time. it’s the only way. You hit me right between the eyes with this. My daughter is 8 and I am still treating her as an ordinary kid and not really addressing her differences. And I guess it’s time I learned more about Aspergers and about her and start advocating for her and helping her to build skills. It’s a really useful way to think of it. So many small details that make up our lives and activities. We forget until we try to see it as our kids do, not just the physical input, but the expectations, the social nuances, making decisions, conversational norms…that they can and do navigate this at all is amazing. When we get frustrated and overwhelmed, it is only a tiny window into their experience. You are a fantastic mom, to see the problems, identify, and not get angry that sometimes they aren’t there yet. Because sometimes, neither are we. Yes! You nailed it! Yes! Thank you so much for your kind words and your closing line – Wow!! Thrift stores are a great solution to having to break clothes in. I buy most of my jeans “preloved” for exactly that reason. More importantly though, I wanted to comment on how matter-of-factly you let H know that his words/actions were perceived in a way that he might not have considered. It’s obviously a strategy that works well with him. Talking to others respectfully when you’re upset . . . I still struggle with this at times when my resources run low. Just last night I snapped at something my husband said and for no good reason other than I was frayed to the breaking point and didn’t have the energy to filter. I have no doubt that you’re right about H doing his best. Sometimes it’s just . . . hard. Yay… thrift stores rock!! I may have to steal that term “preloved” – it’s wonderful! I appreciate your perspective about the matter-of-factness of our conversation. I do work on this so that he doesn’t have to unwind my emotions from the situation. He is sensitive and layering on my emotions can be overwhelming when he is at his limit. you have so much pride in your son and are advocating out of love. You are such a strong woman, not because you love your son, but because you love your son as a whole and provide such a support system for him. I wish I had had that when I was younger, but then again, no one knew. Thank you so much for your lovely affirming comment. I am so moved! Hugs to you, Gretchen! PS. How goes the Children’s Book?? Unfortunately, I am still seeking an agent. A publisher had reached out to me and last week (after many many weeks of waiting) sent me a polite “no” email. But I won’t fall apart. I can’t. This book is not for me. Hang in there soldier. Big hugs to you! I was moved by your post as well by the way. I think you just cemented that I have a blog post I have to write that is going to be extremely emotional but I won’t sleep until its done. thanks for this post leah – i think it’s one that so many of us can relate to… and, gives such wonderful insight to how our kids also view ‘the dressing room’. emma has such a difficult time with this as well – her expectations are high when we first begin, but when it comes down to actually trying on the clothes… that’s when everything starts to spiral downward. sometimes it makes it easier, because she has her sister with her, and they try on clothes together – but not always. thankfully, i have found a pair of ‘soft pants’ that em LOVES, and i can purchase them for her without having her around. they like jeans… act like jeans… only they are extremely soft, without any zippers or snaps! I can totally relate to your daughter. I used to feel that way shopping and recall that I always ended up in tears as a kid. Always! I think you are bang on about the level of expectations as well. I still don’t like shopping – especially for clothes – but can meter it out in short bursts and when I have a lot of spoons available. Thank you so much for your comment… and yay for the soft pants! Brilliant article and shows you know exactly how to deal with the issues that are faced by a parent with a child with ASD. You responded brilliantly, explained everything fully and you and your child are benefiting from it. Well done, keep blogging! Thank you for such a lovely and affirming comment! I appreciate that. There are certainly lots of times when I don’t get it ‘right’… but l continue to learn from my child and our journey together. I really appreciate how you talked about your own needs in this blog. When I would forget to include myself in the ones who need to prepare for these outings, I would always get into trouble and we both would spiral toward a crisis. Thank you for showing that self-care is an important part of all steps – the preparation, the store time and the debriefing. Maybe you can add a “mommy” treat to these types of activities to acknowledge the stress of the situation. I want to be clear here – not that you or H are creating stress – but that these overstimulation environments will always create stress. When I finally found clothes that fit me just right, I stopped going into stores and just buy things online now (my solution to avoiding this stress). We are moving to the point now as well where I am talking about my own needs with H. I find this tricky – because unwinding demand and expectation from that is not easy. So – very carefully – I am sharing my experience, and hopefully not layering in guilt or shame… but giving him the opportunity to see how interactions are just that – and that we affect one another – and that he is not alone in his experiences of sensory overwhelm or working to manage the stress of overstimulation. Your comment has me thinking on another angle as well: I want H to see in me what you talked of as self-care – so that this too is modeled for him as he transitions to adulthood. I also like your idea of adding a treat for me (of course I do – lol). It might be interesting to plan a treat at the end of a challenging time for both of us – so we can co-acknowledge our efforts.